Shell Basket. Photo credit: Robin Draper. 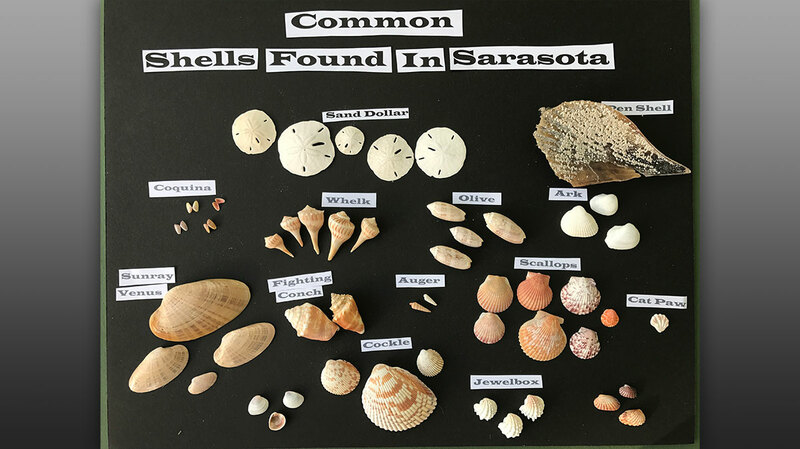 Learn about all the different shells you can find on the beaches in Sarasota County. Born and raised in Sarasota, I grew up on Siesta Key. My childhood memories included hours and hours of swimming, running up and down the white sandy beaches, building sandcastles and watching tangerine colored sunsets on the beach lined shores of the Gulf of Mexico. As a young girl, I remember the first time my mother put a giant conch shell up to my ear and said, “Listen carefully and you will hear the sounds of the ocean” and to my amazement, I did. And then she said, “that, my dear is a gift from the sea.” At that moment, I began my romance with shells, Florida's treasures. Strolling along the shore, we are drawn to the glistening shells below our foot steps. Gently washing ashore, nature's treasures sparkle as we stoop over to discover colored specimens in varying shapes and sizes. We place them in our pocket and take them home for special memories to remind us how we felt when we enjoyed this simple pleasure. And best of all, they are a free gift from Mother Nature. The bonus is that a beach walk recalibrates our hearts and souls to the beauty that surrounds us in the present moment. The sparkly bling of shells catches our eyes contrasting the aquamarine hue of the Gulf of Mexico framed by the deep blue sky– all synching to create the wonder of island life. Inhabiting the earth for over 600 million years, shells can be found throughout the world, but Florida, with its warm climates and the gentle rolling waves of the Gulf of Mexico, is a natural repository for the multi-colored specimens. Seashells are the external skeletons of mollusks, animals that have delicate, soft bodies. As mollusks grow, they create shells that protect their fragile bodies. The nutrients that they take in secrete calcium carbonate that hardens on their outside. When a mollusk dies it leaves behind the shell. 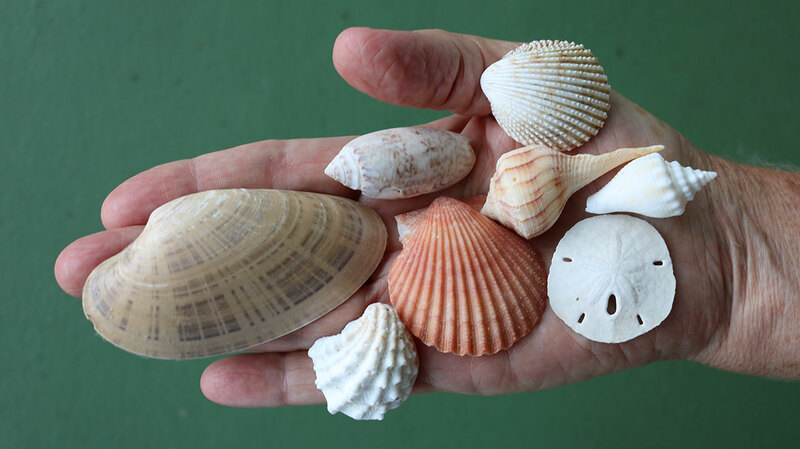 To help you identify your Florida shells, purchase a shelling guide that will help you name your newly found Sarasota shells. When shelling, follow the shell line and the high-tide mark, where the highest waves stop as they wash onto the sand. We've all heard that the “early bird gets the worm,” and the same goes for shelling. Shells wash ashore overnight leaving fresh deposits for the morning beachcombers. Follow the tides. Generally, the best time to shell is an hour before and after low tide. Storms usually bring in a bounty of shells, leaving heaps of shells and marine goodies including coral, marine animal casings and sea fans. Consider getting in the water with snorkel and fins, skimming the shallows and sandbars where the shells accumulate and have yet to wash ashore. Shells wash ashore daily to Sarasota's barrier islands. But between most of the islands is a pass or waterway that hauls in new shells daily with each incoming tide, depositing fresh new ones along the inlet shore. Walk as far as you can beyond the crowds where there are fewer people. You're more likely to find fresh shells that have not been picked over. Try to find sandbars or tidal islands. Shells are often found on these outlying areas that are rich with deposits, especially sand dollars. Sand Dollar Island located on Big Pass between Siesta and Lido Keys deposits new sea treasures each evening. Also, there are several sand bars north of Longboat Key. And remember the Golden Rule of Shelling: Never take a shell that has a living creature inside. At the south end of Crescent Beach is Point of Rocks, where rock formations provide large deposits of shells that accumulate on the beach and between the rocks. Also, stroll south of Turtle Beach towards Casey Key where shells form in piles along the shoreline. Lido Key is divided into North Lido Beach, Lido Key Public Beach and South Lido Key Beach. North Lido Beach has more shells because there are fewer crowds and it is less picked over. Longboat Key's north end is the place to go. 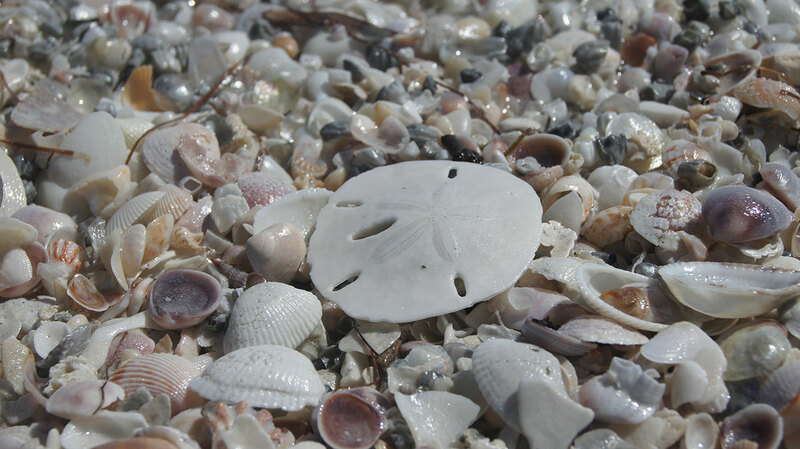 Try Whitney Beach or Longboat Key's farthest beach access (100 Broadway) for shelling. But the real bonus is the north tip of Longboat Key with its beautiful array of driftwood that serve as a stunning backdrop for photos, especially at sunset. 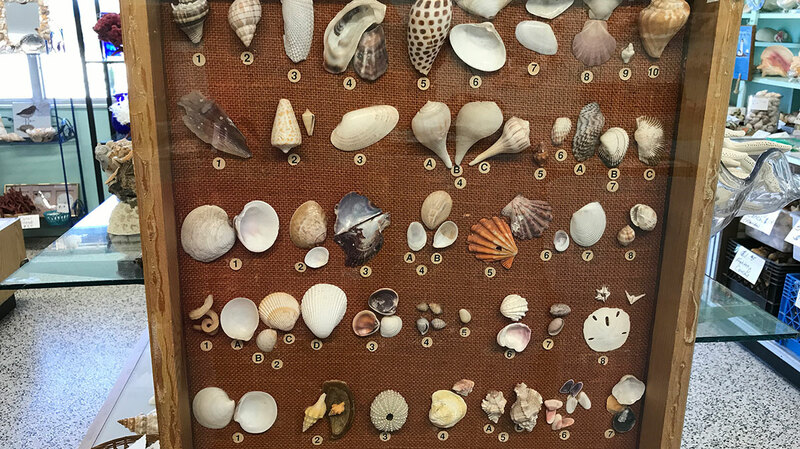 Nokomis Beaches on Casey Key are loaded with shells – making it one of the best shelling locations in Sarasota. Two words: Shark's Teeth. This area is known more for its fossilized shark teeth than its shells. If you have not tried this, it's a must while in the Sarasota area. Head to any of the Venice and Manasota Beach access points and the treasures await you. Most experts will tell you that shells should not have an odor unless they are alive. Wash them with fresh water or let them soak over night. They won't smell unless there is an animal inside, and in that case, should be not be removed from the beach. For shells that have algae or are discolored, a Clorox solution is recommended (1/4 clorox; ¾ water). This solution will also clean sand dollars (but remember a furry exterior means they are still alive and should not be removed from the sea). There are many creative things to do with shells, ranging from placing them in glass vases or lamps, decorating gift boxes, mirrors and anything that can be glued. Be creative, have fun and “shellebrate” memories of your Sarasota vacation.